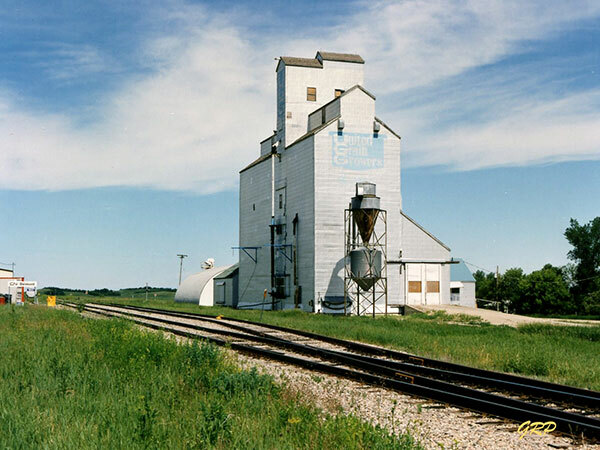 A wooden grain elevator at Belmont, on the CNR Carman Subdivision in what is now the Rural Municipality of Prairie Lakes, occupied the site of a former elevator purchased by United Grain Growers from Canadian Consolidated Grain in 1959. Renovated in 1966, it was destroyed by fire on 18 April 1973. 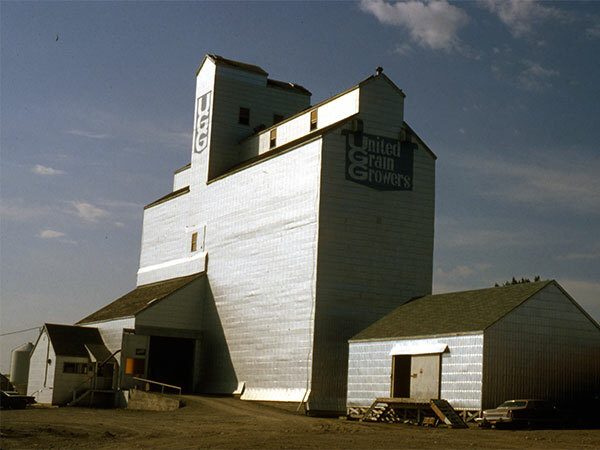 Rebuilt as a 109,000-bushel elevator and crib annex in 1974, it was closed permanently in January 1999 and demolished in October 2000. “Concluding a chapter of prairie history,” Baldur Gazette-News, 10 October 2000, page 1. Obituary [Norval George Taylor], Winnipeg Free Press, 22 January 1991, page 36. Obituary [George Campbell Porter], Winnipeg Free Press, 7 August 1996, page 35.